British Columbia is one of the greatest outdoor recreation playgrounds in the world. Vast, majestic and full of surprises, there are many lifetimes’ worth of adventures to be had amid Canada’s western frontier. To help you make the most out of beautiful British Columbia, we have combined all of our BC Backroad Mapbook titles into one convenient discount bundle. This bundle will help you navigate the province from corner to corner, including the laid-back vibrations of Vancouver Island, the stunning peaks and ocean fjords of Vancouver, Coast and Mountains, the sun-filled paradise of the Thompson Okanagan, the rustic ranch country of the Cariboo-Chilcotin Coast, the unbridled wilderness of Northern British Columbia, and the outdoor recreation mecca of the Kootenay Rockies. 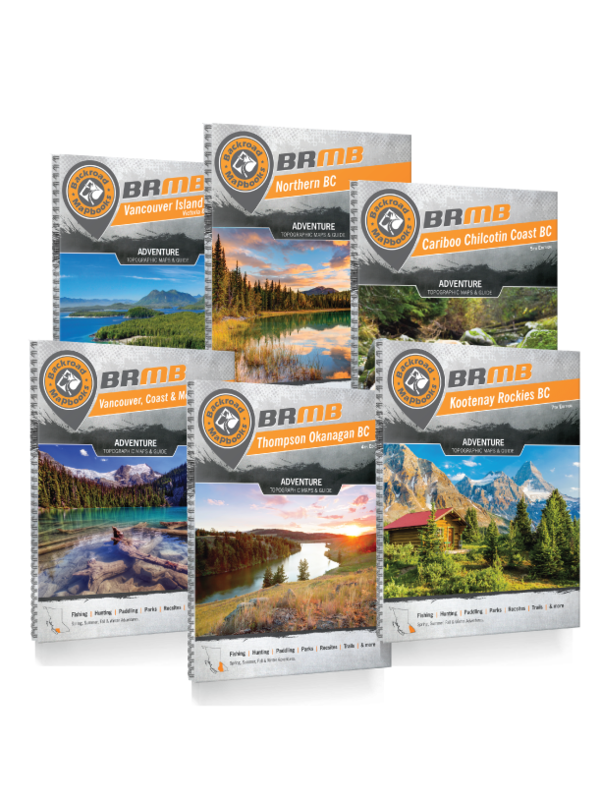 There is no better resource for exploring the best of BC than this Backroad Mapbook Bundle.